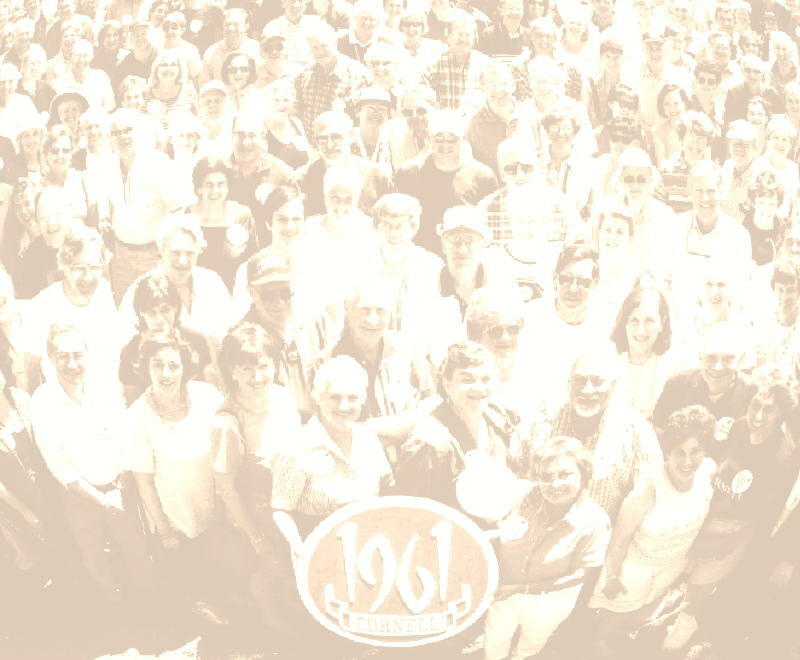 '61 Reunion Planning includes a committee called "AFFINITY" so that classmates who were in the same sorority, fraternity or organization can be in touch and hopefully come to reunion together or to see one another again. Below is a list of the '61 Affinity Groups and the names of classmates who have volunteered to be the liaison with the other members. Please note that we still need volunteers to be the liaison for those affinity groups with no name next to them. If you can help, please contact Doug Uhler, e-mail: duhler@verizon.net. Kate Freyer of Cornell Alumni House (kate.freyer@cornell.edu) will send you a list of the names, phone numbers, addresses and e-mails of the members of your group. The only thing you have to do is contact the members of your group and encourage them to come to reunion.